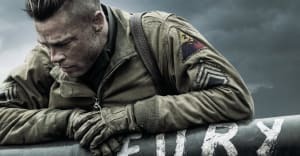 Fury is set during World War II, specifically focusing on a United States tank crew in active combat in 1945, during the assault on Nazi Germany. 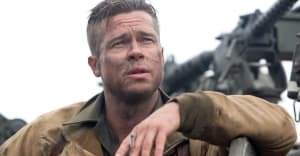 Brad Pitt plays Don Collier, the long-standing veteran commander of the central tank of the film, which has been nicknamed Fury. Collier, along with his crew, must learn to work together with a newcomer to the team, who is called in to replace a recent casualty. The crew members must simultaneously cope with the loss of their friend and partner and get used to the new crewman and adjust their team dynamic. 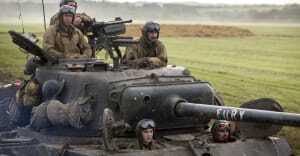 Their lives and the lives of the other soldiers on the battlefield depend on their cooperation. 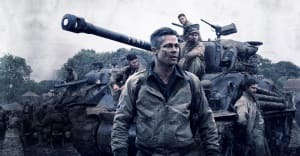 The movie is a deep dive into the realities of tank crews in the second World War, and their high casualty rates, with the hardships they faced throughout combat encounters. We get to see these characters grow as individuals as well as a team working as a single unit. 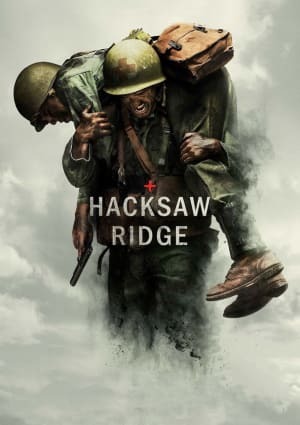 Committed to the realism and methodology of the acting experience for the film, director David Ayer required the film's primary cast members to attend an actual Navy SEAL boot camp, training physically and mentally for their roles. To even better put them in the proper mindset for the characters, a team of friends who are also comfortable and used to bickering and insulting one another on the job, Ayer encouraged the actors to learn to do the same in real life. Throwing insults, and even physically getting in scuffles were common for the lead actors, in the pursuit of really filling the shoes of the characters they embodied in the film. 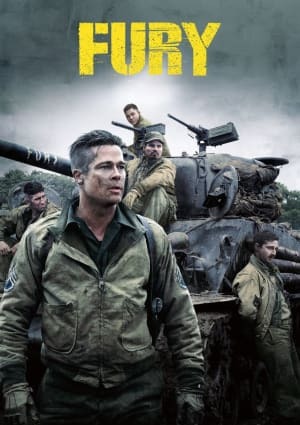 Fury is a 2014 American war film written, directed, and co-produced by David Ayer. 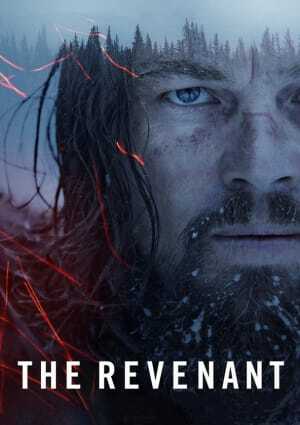 It was also produced by Bill Block, John Lesher, and Ethan Smith, with music composed by Steven Price. 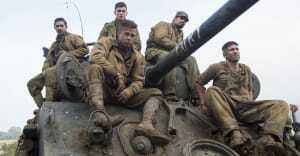 The movie stars Brad Pitt, Logan Lerman, Michael Pena, and Shia LaBeouf. 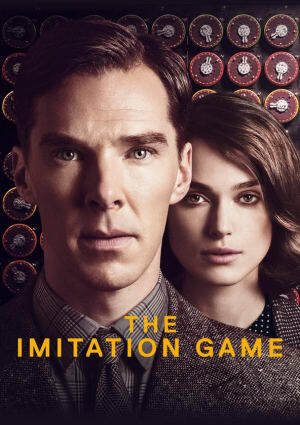 The film's production was handled by the companies Columbia Pictures, QED International, and Crave Films, among others, with distribution by Sony Pictures. 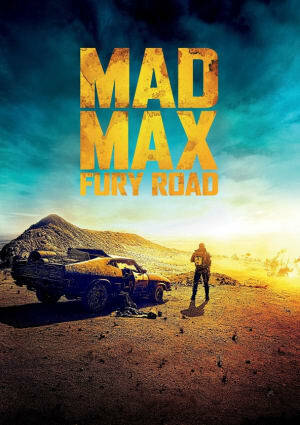 It was produced on a budget of around $80 million, earning over $211 million in its theatrical run.